Because of this whole weekend - Thanksgiving, Black Friday, Small Business Saturday, Sunday and then Cyber Monday, my sister is extending the bonus offer until Monday night. 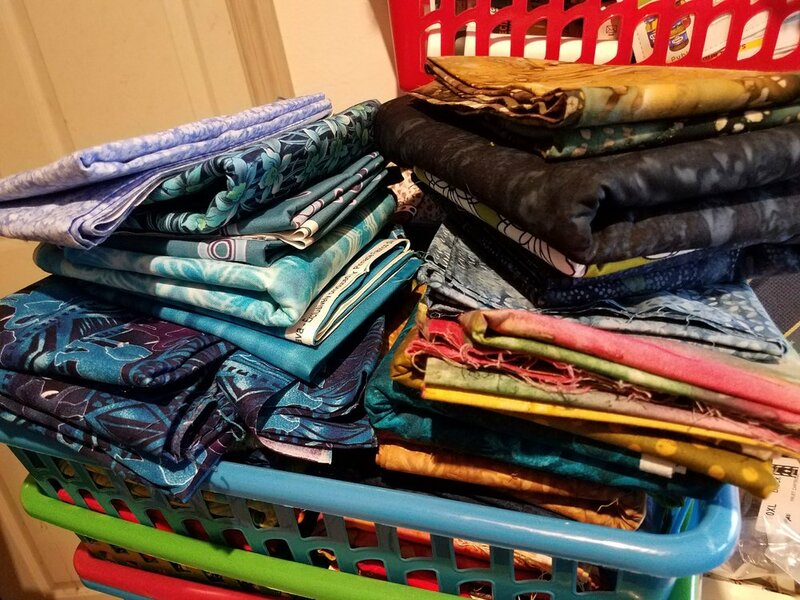 If you haven't seen it yet, it is, in short, that for every $25 of fabric or things you order from the site, you will get a whole yard of free fabric. The deal doesn't include the $5 shipping of course. But for every $25 of merchandise you order, you will get one yard of solid 100% cotton fabric. She will choose your solid to coordinate with the other fabrics you buy. We've never done this kind of bonus promotion before. Tomorrow my typical blog will pick up again - with my Crumbs project for the weekend...but for today, I wanted to let you know about this deal if you hadn't seen it yet. Don't miss out. The prices here are already fantastic - and this is a win/win for you! If you know someone who would benefit from this information, feel free to share. My sister is excited to see the orders coming in but she says she has plenty of solids still (to give away). So, feel free to order away! We had a nice turkey dinner on Saturday - Saturdays are already busy for me because I need to prepare for Sunday, but I was extra busy that day. My husband's leg is still swelling up when he puts it down and it aches more in the cast than in the brace as the swelling makes it uncomfortable. He had a hard time today (Sunday), but he's lying down, keeping the leg up. Be sure to not miss the special bonus offer Rachael has going on today - ending at midnight on Monday EST.